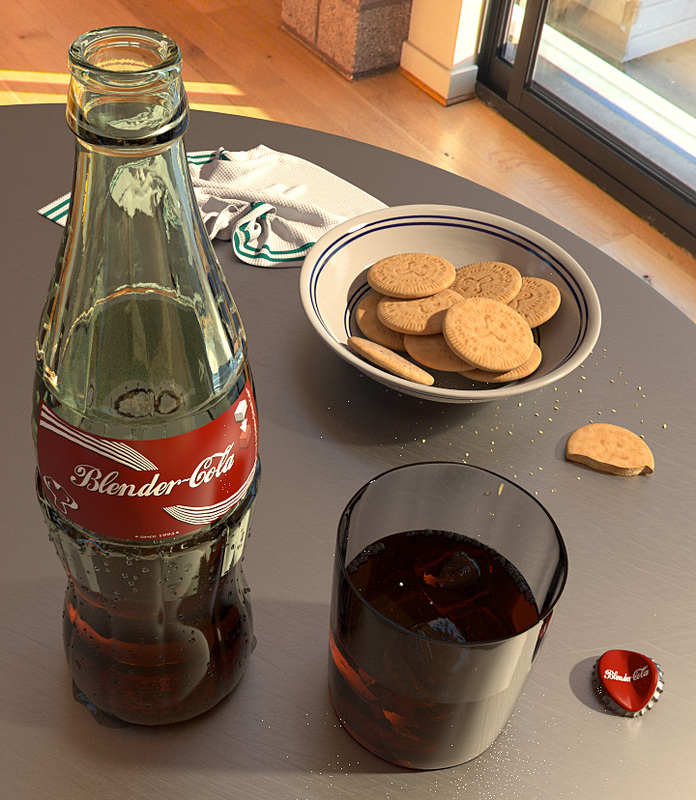 Here's the final render of my Coke and Cookies scene. I'm going to leave it like it is now. I added some water on the table and a washcloth. Cycles finally decided to stop crashing, and I was able to do a proper render this time. Three hours for 1500 samples. I sharpened it a bit in Photoshop—I don't quite like Blender's Sharpen filter. El detall de les engrunes, fa que sembli de debó. How could this be the final version if it as fireflies in it?